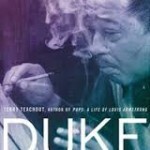 • Best performance in a play. 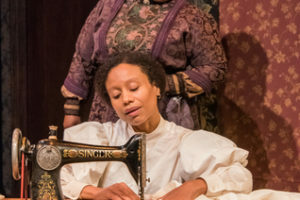 Nehassaiu deGannes was fiercely impassioned in Shakespeare & Company’s production of “Intimate Apparel,” Lynn Nottage’s 2003 play about a turn-of-the-century black seamstress who falls for the wrong man. • Best ensemble. The Transport Group’s off-Broadway revivals of William Inge’s “Come Back, Little Sheba” and “Picnic,” directed by Jack Cummings III and presented in rotating repertory, featured a cast whose members—14 actors, six of whom appeared in both shows—made a powerful case for Inge’s sad tales of Midwestern loneliness…. To find out (among other things) my picks for best classical production, best revival of a modern play, best revival of a musical, best new play and musical, and playwright of the year, read the whole thing here.